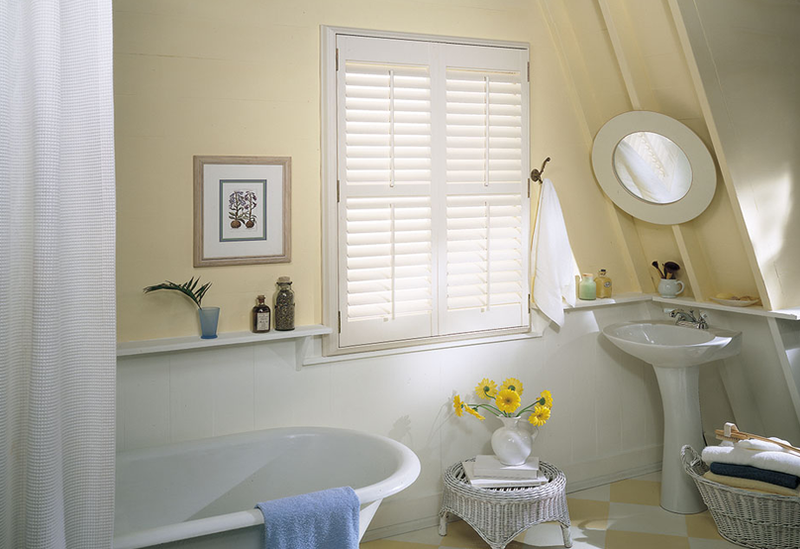 Like fine furniture for your windows, Shutters provide a functional elegance that is timeless and contributes to all design styles. 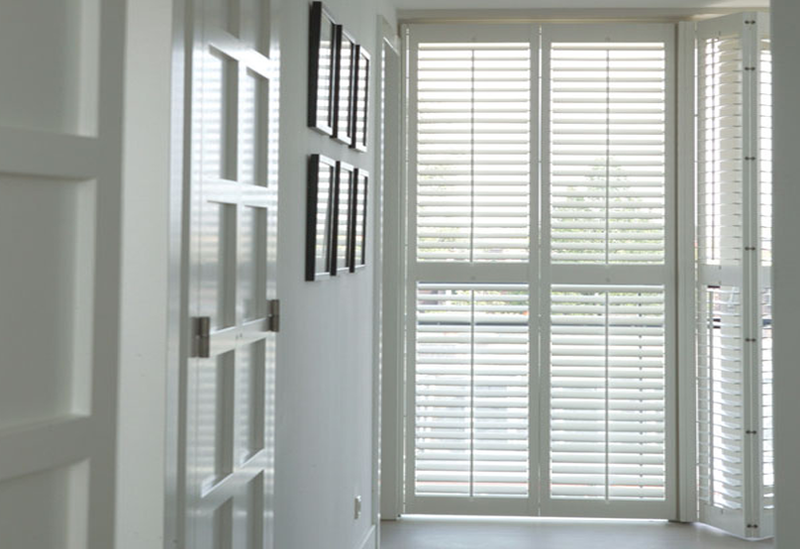 Arjay’s provides a full line of affordable handcrafted wood and engineered faux wood shutters, as well as custom window shutters made to order from specialty woods to match your existing architecture. You will find a variety of frame, color, and operational selections in Arjay’s showroom or we will bring samples directly to your home or office. Your personal Designer will help you make color and style selections, as well as assist you in designing the panel layout for your new plantation shutter blinds. 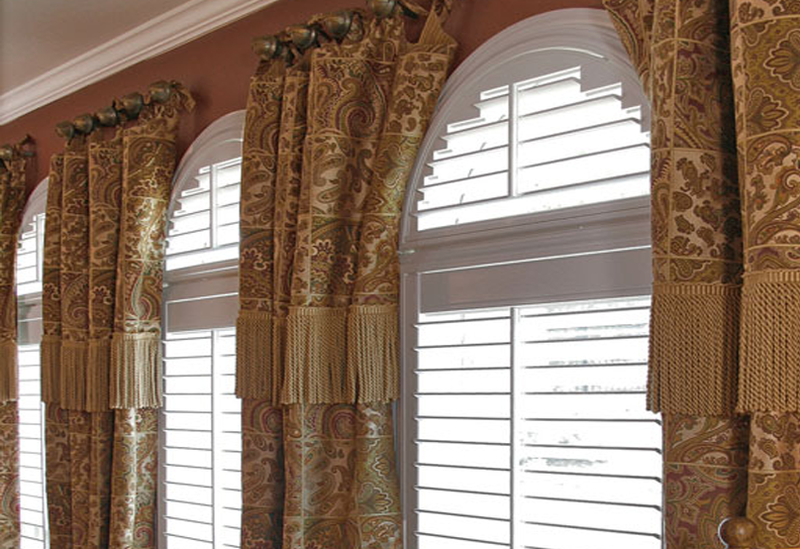 With so many design decisions to be made, you will appreciate our expertise in guiding you through the process of selecting louver size, material [wood or engineered wood], frame style, operational features, and the color of paint or stain to finish off your new shutters. Interior shutters can be installed on windows, sliding glass doors, French Doors, skylights, and can act as room dividers. Louver Sizes: Standard louver sizes are 2 1/2”, 3 1/2” & 4 1/2”. Custom order louver sizes are also available. Specialty Shutters: Angled Shutters, Radius & Arched Shutters, Cafe Shutters, Vertical Shutters and Sliding Panels. Custom shapes are also available. Manual Operation: Standard Tilt Rod, Off-Set Tilt Rod and Hidden Tilt Rod. Motorized Operation: Louver positions can be operated by motors via remote control. Energy Consumption & Comfort: Shutters provide excellent solar & thermal performance and reduce cold and hot spots at your windows. 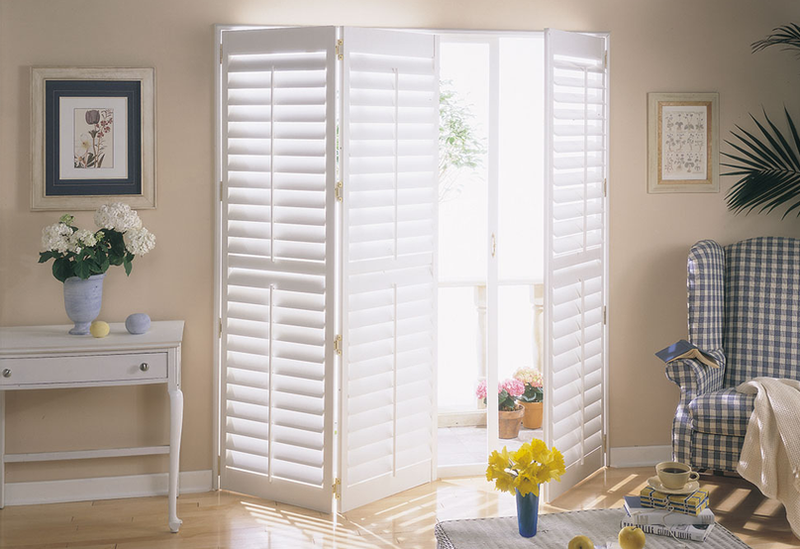 Shutters can reduce both air-conditioning and heating expenditures. eliminating glare, louvers can also be closed to darken a room.